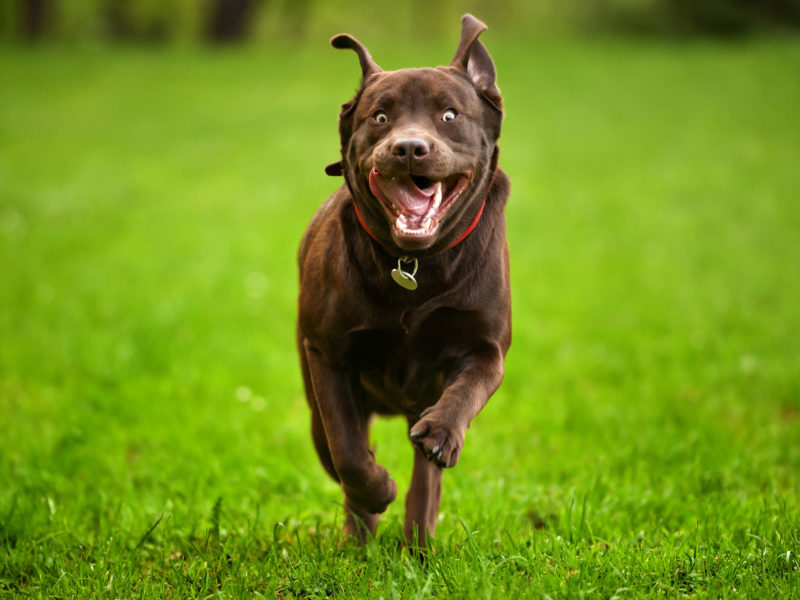 Have you ever caught your dog running in circles at top speed around the backyard or house? I’m sure you wondered what he was doing. Was he stung by a bee, spooked by something, or had he turned into a wild animal? Chances are it was simply a case of the dog zoomies. According to Los Angeles-based Certified Applied Animal Behaviorist Jill Goldman, Ph.D., zoomies are a type of Frenetic Random Activity Period (FRAP) where a dog seems to suddenly explode with energy. “They are bursts of energy like a volcano. Energy builds up then there is the expression and release of that energy.” Usually, with the zoomies, a dog will show repetitive behavior like running around in circles, taking laps around the yard, or continuously circling the dining room table. Given that zoomies are a way for dogs to get their energy out, they often happen first thing in the morning after dogs have rested all night. They can also happen later in the day for dogs that have been confined in a crate or haven’t been walked. Stressful situations like being restrained, a bath or grooming session, or a trip to the vet can also lead to the zoomies. Even a good poop can send some canines running around in circles. And it’s not just puppies that zoom. Dogs of any age can participate in the behavior. But Goldman says the younger the dog, the more often you can expect it. “The more energy a dog has and the fewer opportunities to exert that energy, the more often you’ll see it.” Senior dogs sleep far more than young pups, so they have less energy to exert in the first place, but without the chance to express themselves appropriately, they can feel the need to zoom too. The zoomies are a normal and natural dog behavior. Not all dogs participate, but those that do often seem gleeful, as if they are having a fabulous time. In fact, play bows often go hand in hand with the behavior. As dogs are finally letting out their pent-up energy, it’s no wonder they seem to be having so much fun. But are zoomies safe? As long as there are no obstacles to get in the way and harm your dog in the process, Goldman says it’s fine to let your dog’s zoomies run their course. When you see the zoomies coming on, like after a trip to the bathtub, be sure your dog is in a safe place. Perhaps a carpeted room to prevent slipping and falling, and certainly away from delicate trinkets on the coffee table. Or let your dog zoom in a fully fenced yard where he can’t get into any trouble. Allow your dog to enjoy himself and get it out of his system. As fun as they look, is there ever a time when the zoomies are cause for concern? Goldman suggests tracking your dog’s zooming behavior. If you chart when the zoomies are happening, you can understand why they’re happening. Perhaps it’s just after a bath for example. Occasionally is fine, but a dog that zooms frequently might be one that is spending too much time in the crate or dealing with too much stress. “If they’re often happening in the house, then you’re probably not giving your dog enough physical and mental stimulation,” she suggests. A dog that engages in the zoomies all the time could also be a sign of a bigger problem. “It’s important to make a distinction between normal zoomies and compulsive behavior like excessive tail chasing or chasing shadows continuously,” says Goldman. 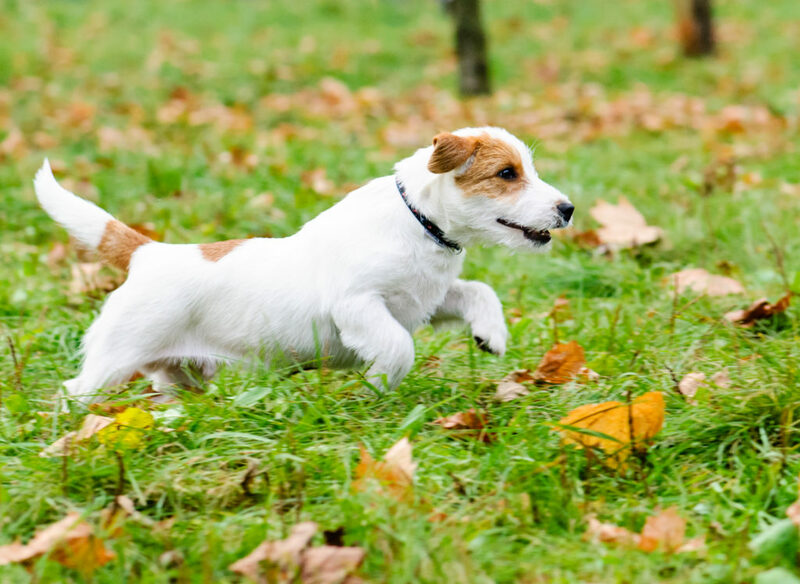 If you have any concerns about your dog’s zoomies, such as them happening all the time or in stressful situations, consult a certified applied animal behaviorist or a veterinary behaviorist to help get to the bottom of the situation.